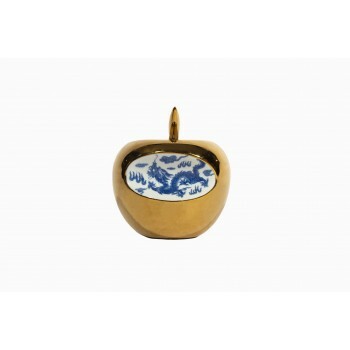 Li Lihong (born in 1970), Golden Apple, enamelled porcelain signed in pinyin and numbered under the base, Galerie Loft edition, Paris, 300 copies. China, circa 2010. Measures: Height 19 cm, diameter 16 cm. 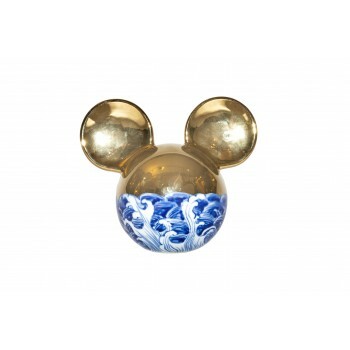 Li Lihong (born in 1970), Golden Mickey, sculpture, enameled porcelain signed in pinyin and numbered under the base, Galerie Loft edition, Paris, 300 copies. Circa 2010, China. 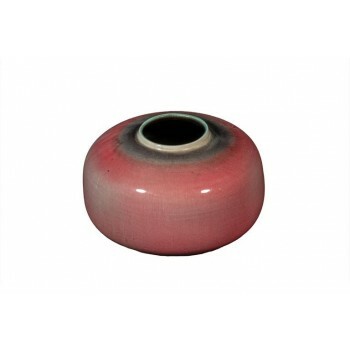 Measures: Height 24 cm, diameter 25 cm. G. Valentin, ceramic sculptor, signed, circa 1970, Vallauris, France. Measures: Height 70 cm, width 108 cm, depth 4 cm. Georges Jouve, ceramic vase, glazed earthenware, France, circa 1955. Measures: Hauteur 10 cm, Diamètre 17 cm. 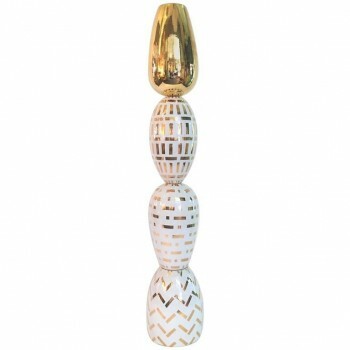 Alessandro Mendini (Italian born in 1931), TOTEM, Prototype Opistodomo in ceramic of the series Column of 2008, stamped A.MENDINI Superego edition made in Italy, Signed inside the base, Italy. Height: 165 cm, diameter: 25 cm. 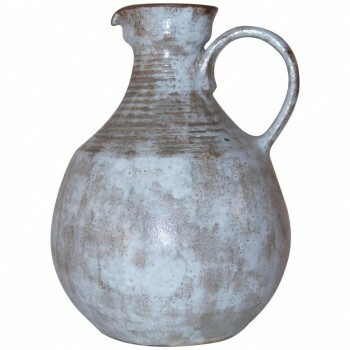 Pitcher, Vallauris, ceramic, signed, circa 1970, France. Pitcher, Vallauris, ceramic, signed, circa 1970, France. Measure: Height 32 cm, diameter 18 cm. Important Ceramic Plate, circa 1970, France. Important ceramic plate, circa 1970, France. 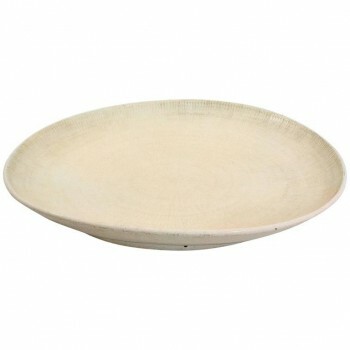 Measures: Height: 10 cm, diameter: 70 cm. 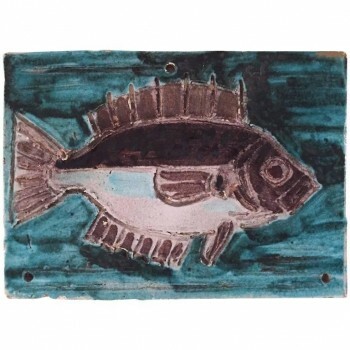 Albisola, plate, enameled ceramic signed, 1961, France. 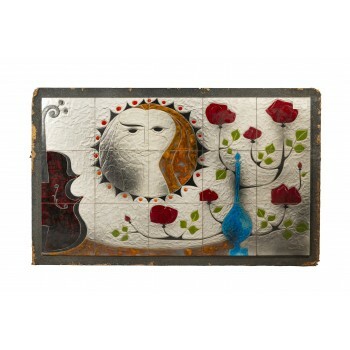 Albisola, plate, enameled ceramic, signed and dated on 1961, France. Height: 18 cm, width: 25,5 cm, depth: 2 cm. 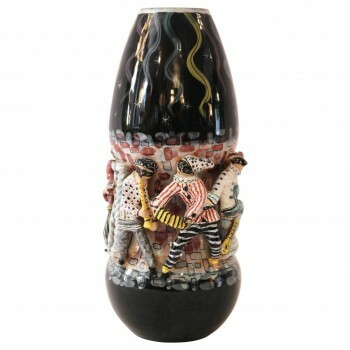 San Polo, Vase "comedia dell'arte", Glazed ceramic, Production San Polo, signed at the base: Venezia San Polo Italy 0/75, Circa 1955, Italy. Height: 39 cm, diameter: 18 cm.